"We’re excited to partner with Humana to help people build sustained habits of happiness based on research"
LOUISVILLE, Ky.--(BUSINESS WIRE)--Research indicates that journaling or “expressive writing” has proven to lead to positive health outcomes, including feelings of greater psychological well-being and reduced depressive symptoms. To help members take advantage of the health benefits of increased positivity and mindfulness, Humana Inc. (NYSE: HUM) has announced the addition of The Five Minute Journal mobile app to its Go365® wellness and rewards program. 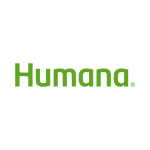 This collaboration positions Humana as the first insurer to leverage the paid journaling app and the second emotional well-being app integrated into the Go365 platform. By connecting the standalone app to Go365, members who commit to a weekly log schedule and share at least five minutes to a morning and evening journal will earn “Bucks” that can be redeemed in the Go365 Mall for gift cards, electronics, fitness equipment, charity donations and more. The Five Minute Journal aims to have users focus on the good in their lives. With a simple five-minute structured format, users are prompted to journal every day in the morning and at night and reflect on what they are grateful for, as well as something they could have improved on. The questions in the app are designed to encourage the brain to see life in a more positive way. Additionally, as part of the journaling experience, users are able to upload a photo to their daily entries, and view a timeline of all past entries and photos. Users need to journal at least three times a week to receive awards through Go365. “The Five Minute Journal is like a toothbrush for your mind,” Ramdas said. The Five Minute Journal has gained popularity since launching in March 2016; it ranked as the No. 1 lifestyle app on the Apple Store and was featured as a Starbucks app pick of the week. The standalone app is available for download on iOS and Android devices to Go365 members for a one-time fee of $4.99. To learn more about the Go365 wellness and rewards program, visit https://www.humana.com/go365. Intelligent Change is committed to helping people take action to transform their lives. We have sought out numerous self-improvement products over the years. Most were overly complex, light on research, ugly, or a combination. We just wanted simple tools that helped us live a more fulfilling life and carry on with our day; not 100 step plans and systems to manage our systems. We take researched and historically proven self-improvement advice and distill it into beautifully designed tools that are easy and quick to implement on a sustainable, daily basis.